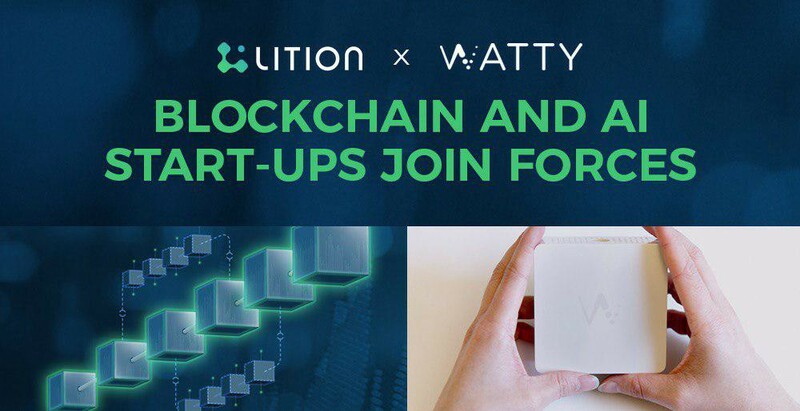 Lition joins forces with Watty, a Stockholm-based artificial intelligence (AI) company & market leader of disaggregation technology in the energy sector. This strategic partneship will take Lition’s activities in the energy ecosystem to the next level. End-to-end transparency is Lition’s guiding theme of the core P2P-trading use case. The Lition Energy Exchange platform, which runs on the Lition blockchain, allows since April 2018 consumers in Germany to choose their preferred renewable energy producers. Now, together with Watty we take it one step further in 2019, as we bring this transparency to households and businesses. The so called Watty box, is a smart IoT device that connects to a fusebox & monitors in real time the household’s electricity use. ‘We’re very proud of this collaboration with Lition Energy and the opportunity it represents. Watty’s algorithms can detect and identify most appliances at home, thus giving power to households in providing access to high-quality data, with an intuitive interface, to see what is happening at home and take control of their energy consumption.’ says Watty CEO, Hjalmar Nilsonne. Powered by AI, its app uses unique algorithms to detect and identify appliances at home based on energy usage patterns, in real time. The applied disaggregation technology reads the energy flows up to 4,000 times per second and hence turns any “ordinary household appliance” into a smart device. This enables Lition Energy and third party associates, that pay the license fee, the ability to offer additional services to their customers. The smart reader measures energy consumption and sends the data privately to the blockchain, effectively providing the same functionality as a Smart Meter at a fraction of its cost. 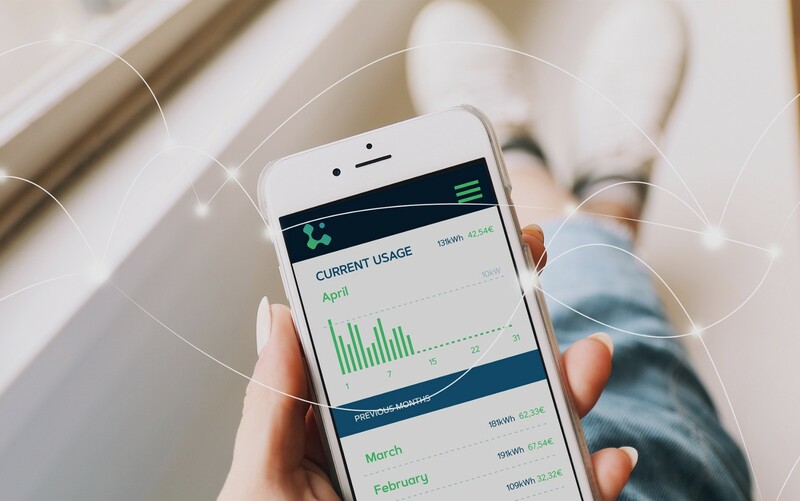 Using the Lition mobile app, customers are able to observe a detailed real-time visualization on the energy usage of all their household’s electric devices. A customer can detect which appliances are currently active, e.g. washing machine, TV, fridge, etc. and review statistics on the overall energy consumption in kWh. The Lition app further provides various smart home features, like a safety alert when you’ve kept your oven on for too long or a security alert if a device is switched on, e.g. a light even though you’re not at home. Together with our partner network we will develop many smart home features that not only guide the way to the smart energy age, but also make your home and business a more safey and convenient place. ‘Consumers don’t need to focus on the underlying technologies, but rather how they benefit from them. Additional to the 20% energy cost reduction enabled by Lition’s peer-to-peer trading solution on the Lition blockchain, the implementation of Watty’s AI and IoT can further reduce power consumption between 20–30% and improve efficiency leading the way to revolutionize the energy sector‘ says Lition CEO, Dr. Richard Lohwasser. In the past, big companies have made huge profits at the expense of unaware consumers. Today, Lition provides the blockchain platform for consumers to buy power from trustable green producers cutting out the middlemen and with our partner Watty we can also finally make energy use understandable. Watty AB, a Stockholm-based company, was founded in 2013 by Hjalmar Nilsonne. Powered by AI, it helps you make smart energy decisions and keeps your home and family safe. A world leader in energy data analytics. Wired ranked Watty as one of the hottest startups in Europe in 2017. Lition is a blockchain start up, that developed the world’s first scalable public-private blockchain with ‘deletable’ data features in co-innovation with SAP. The Lition blockchain allows to bring innovative blockchain applications such as in the energy business. One example is Lition Energy , founded in Dec. 2017 in Berlin. The world’s first P2P mass market energy trading platform, which already supplies customers in over 100 German cities (March, 2019).